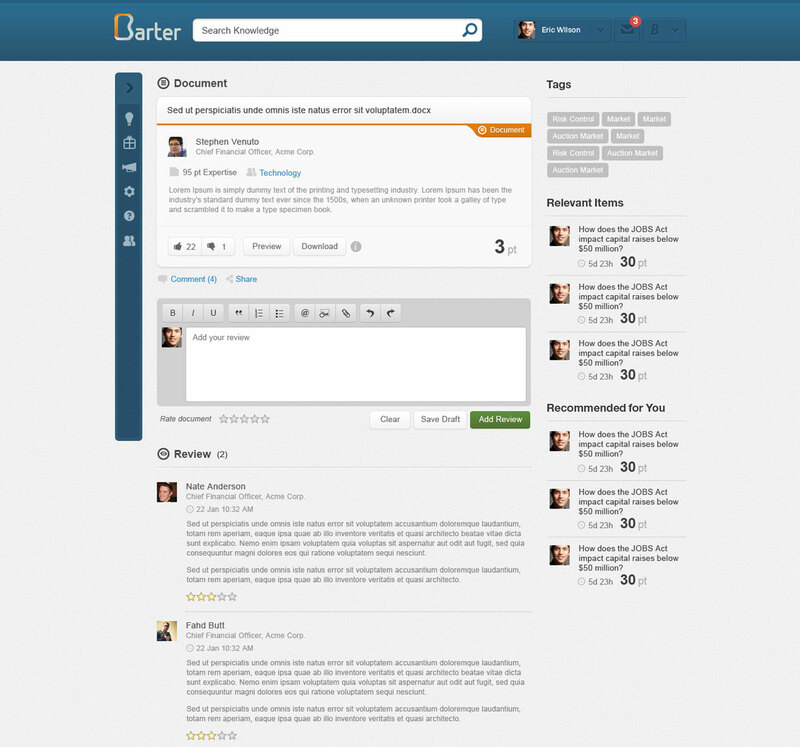 Barter is a Boston based start-up that works to bring "knowledge marketplace" to multinational corporations. Barter significantly reduces communication costs for such organizations, through a delicately designed economy system behind the scene. 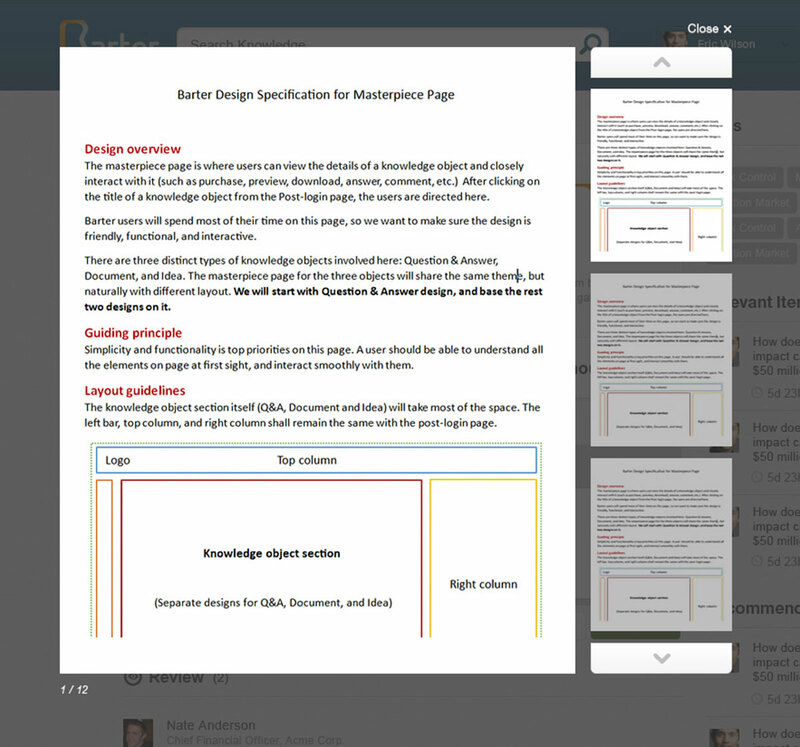 Consider it as an internal Quora where knowledge points could convert to dollars anytime. The challenge here is to visualize the economy status for the knowledge market of a corporation. The dashboard presents the most critical information, and hides details in hover views or subpages. 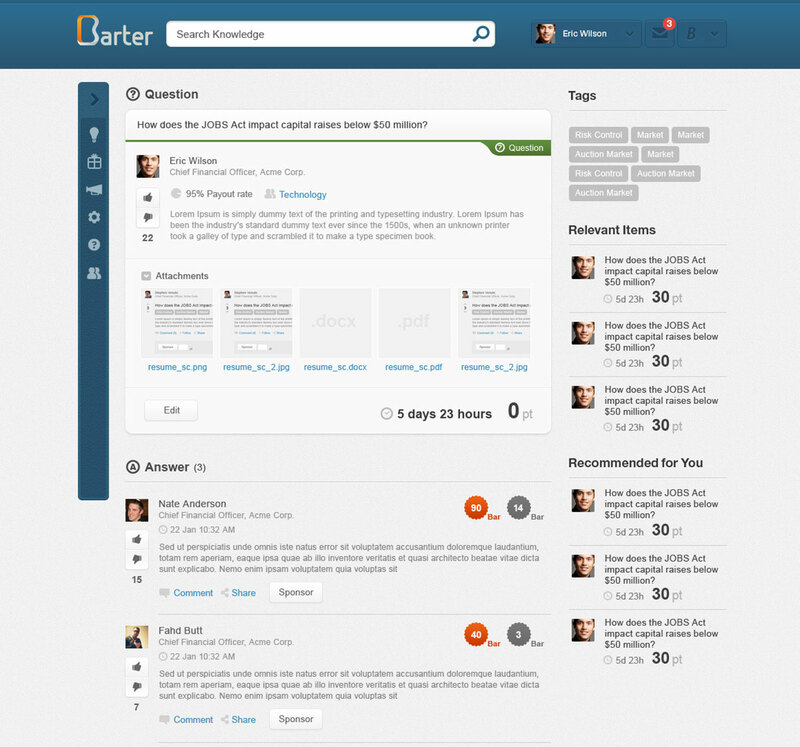 Barter's concept is rather abstract, and the challenge here is to make the homepage appealing yet accessible. 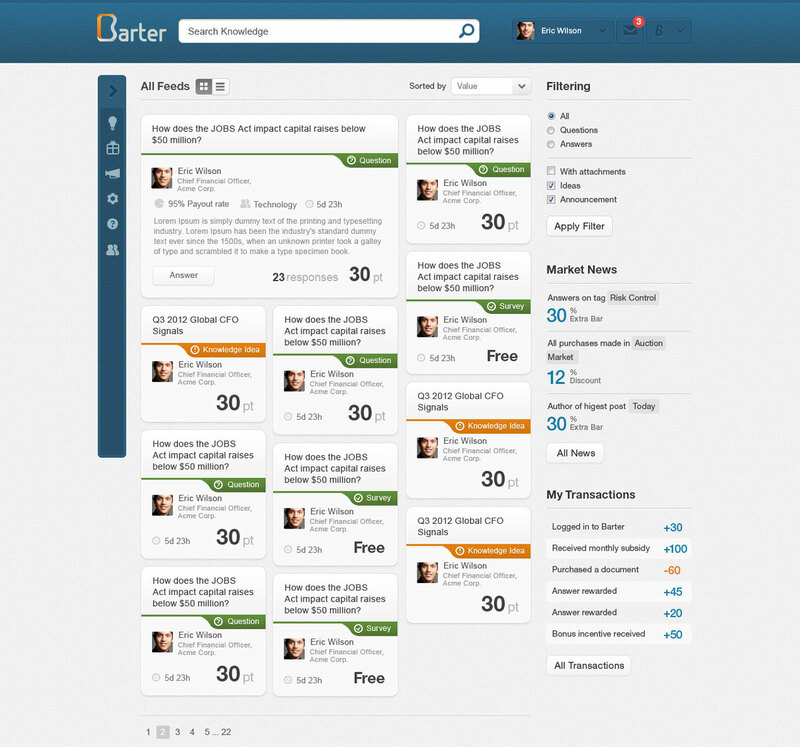 A new set of interfaces were designed in collaboration with QuartSoft. The main challenge here was to render the site cleaner, and responsive for both PC and tablets. 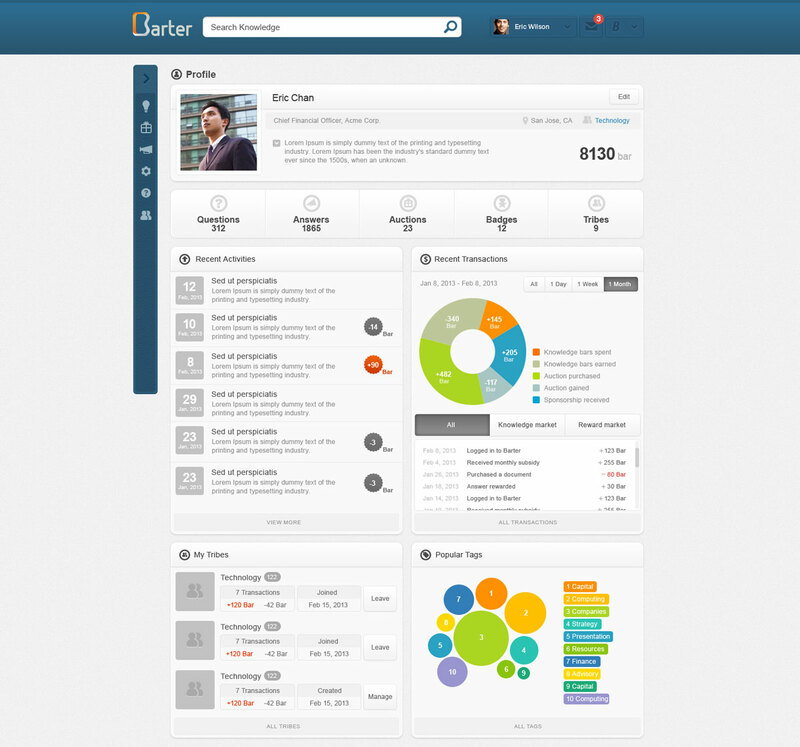 Barter ended service in mid 2013, by which time had had 5 large institutional clients with more than 10,000 trial users. My journey with Barter has been a most enriching one, tasks involving but not limited to: UI/UX design, front end and back end engineering, writing design specs, and working with external design consultancy.